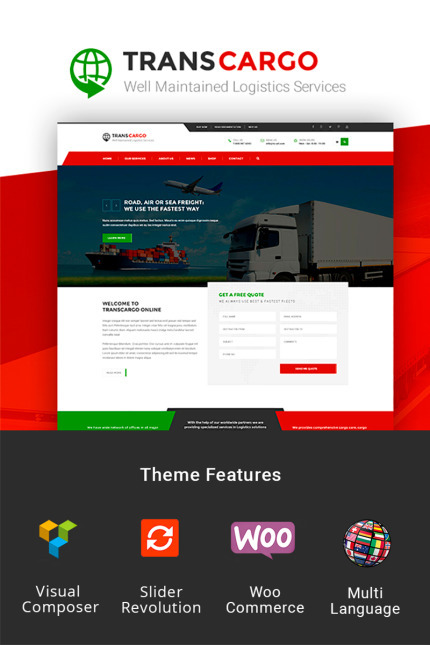 Meet our new Transport & Logistics Wordpress theme that will present your services in the best way possible and boost your sales. Transcargo is simple and at the same time convenient, it has user-friendly menu and all the necessary blocks that will contain information about your company and any other content that you want to share with your clients. Transcargo is multilingual, any language can be added to the interface.